3M™ Speedglas™ 9100 Series welding helmets provide state of the art welding protection. They offer an excellent view before, during and after welding while shaping to your head, ventilating your exhaled air and filtering welding fumes. 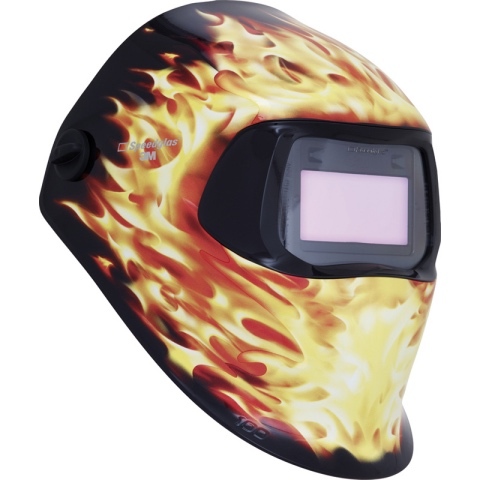 Speedglas welding helmet series 100 delivers impressive protection and performance with distinctive graphic designs all with a specific identity. 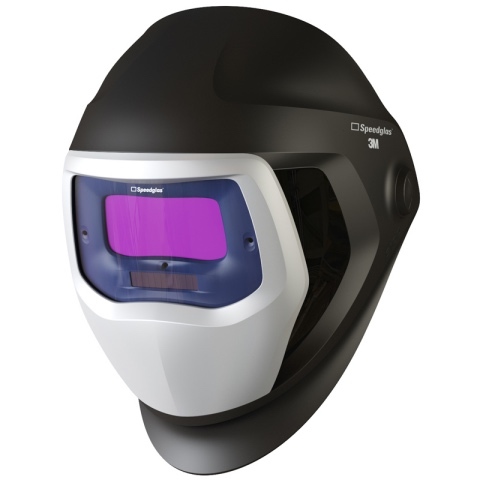 Welding helmet 9100 without side windows, with 3M™ Speedglas™ Auto-darkening Filter 9100V. Variable dark shade 5, 8, 9-13 for most types of arc welding. Possible to lock-in any shade, e.g. in the light state 3 when grinding. Delay function to set the dark-to-light opening time. Introducing the Speedglas 9100 FX Welding Shields. 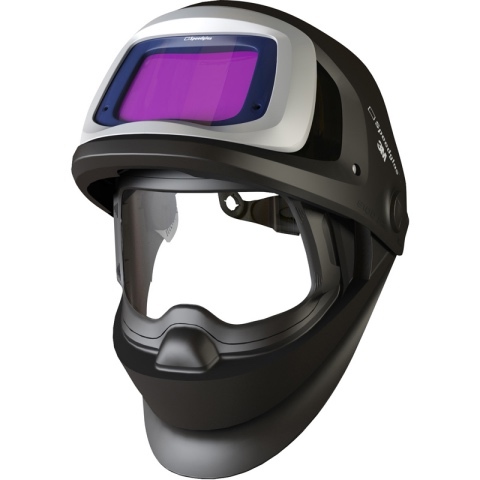 A flip-up combination of an auto-darkening welding shield and a protective visor. We totally redesigned the geometry of the shield for a wider field of view in all directions. 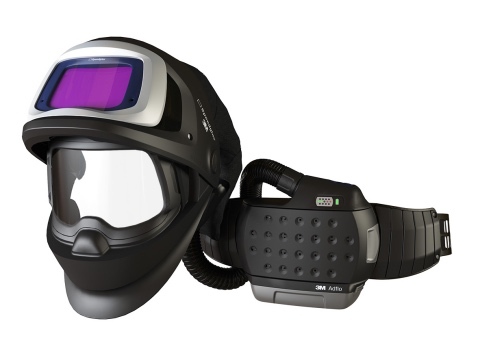 Improved Respiratory Protection – Class 3The New 3M™ Speedglas™ 9100 FX Air Welding Shields offer high levels of respiratory protection – Class 3 and excellent vision in the flip-up mode.